What is the Roberts Stream 94i? The Roberts Stream 94i is a tweaked version of one of Roberts’ classic radios. It’s similar to the Stream 93i, the company’s long-standing Wi-Fi model, but features Bluetooth and a more attractive design. This is the ultimate kitchen radio, and sounds better than most DAB sets too. It can play internet radio, take Bluetooth audio from your phone, and use Spotify Connect. The only slight issue is that, at certain volumes, it can sound smaller than the recent Pure Siesta Home. It uses less traditional speakers to get closer to the sound output of a wireless hi-fi speaker. 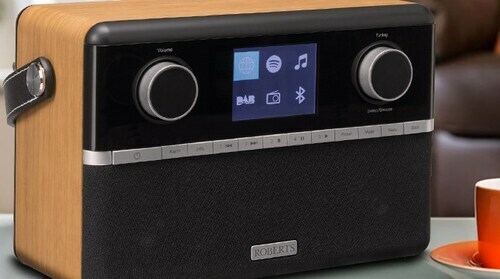 As well as its Bluetooth connection, the Roberts Radio Stream 94i has a whole host of ways in which it plays audio. 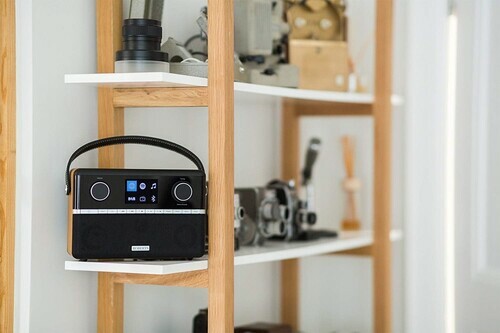 It has access to FM, DAB and internet stations, so you should never be lacking for sounds – whether from your local radio or connected to the world wide web via the Stream 94i’s built-in wifi or ethernet port. Other physical connections include USB and 3.5mm inputs, while the Stream 94i can also access digital music over a local area network (LAN) in MP3, WMA, FLAC, AAC, ALAC and WAV formats. You can also use Spotify Connect (provided you have a premium subscription) to get the radio to grab your tracks directly from the site’s 30 million strong database. If we were being picky, we’d like to have seen Chromecast support, which would provide greater integration for services such as Tidal and Deezer, but it’s unlikely to be a deal-breaker for most. You can also manage the radio’s playback through the UNDOK app for iOS and Android, which is useful if the Stream 94i’s easy-to-use remote is out of reach. If you wish to hook some speakers up to the radio, there’s a line out connection next to the headphone port. Roberts has given a fresh look to the radio, with a line of rectangular buttons replacing the segmented ones that were on the Stream 93i. 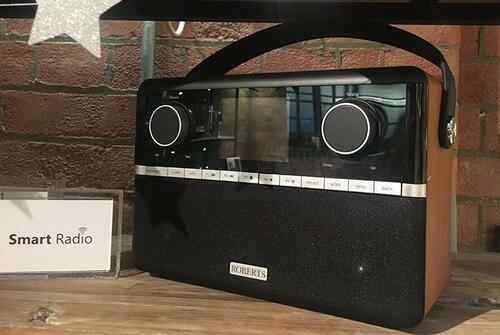 They’re good to use and make the radio look a bit more elegant in our eyes. While the material quality hasn’t changed much, the switch from the glossy, deep black exterior means that the Stream 94i looks more modern and smarter. The handle has also been replaced – gone is the stiff metal arch in favour of a flexible material one, which makes the radio easier to carry about. If you are looking to take it out and about, you’ll have to pay an extra £35 to buy the battery pack necessary to make this radio portable. If you already have a battery pack for the Stream 93i, it will work for the Stream 94i too. This radio has the same speaker setup as the Stream 93i model. There are two small drivers on the front and a much larger one on the back, which acts like a subwoofer. It provides a good combination of treble clarity for spoken-word stations, and bass power when you listen to music. A radio such as the Roberts Stream 94i isn’t really meant for party duty, or to replace a big hi-fi. However, I’d happily use this as my speaker to listen to music casually during the day. And while the front speakers are used for just about all output but the bass, rather than just treble, they still make spoken-word stations sound very clear. I didn’t have to EQ-out any treble harshness either. +/- 14dB treble and bass controls offer good control over the speaker’s character too. A lot of DAB radios that look like the Roberts Stream 94i use a couple of full-range drivers, which can leave bass lines and kick drums lacking weight. However, the dedicated bass speaker here fills in these frequencies. This radio doesn’t feel out of its element when playing music at anything but low background volumes. However, at mid-high volumes, the Pure Siesta Home performs a little better. The Roberts Stream 94i is quite treble-forward, while the Pure’s larger, main driver has stronger mids. This helps to make vocals sound fuller and more natural. Here, too, much of the vocal is represented in the treble and upper-mids. It’s a common effect when mids are handled by very small drivers. At 50% volume, the Pure also has a larger soundstage and slightly better bass impact. It isn’t an outright win for the Pure, though. It has less evident treble clarity, a darker sound, and the Roberts also goes louder. 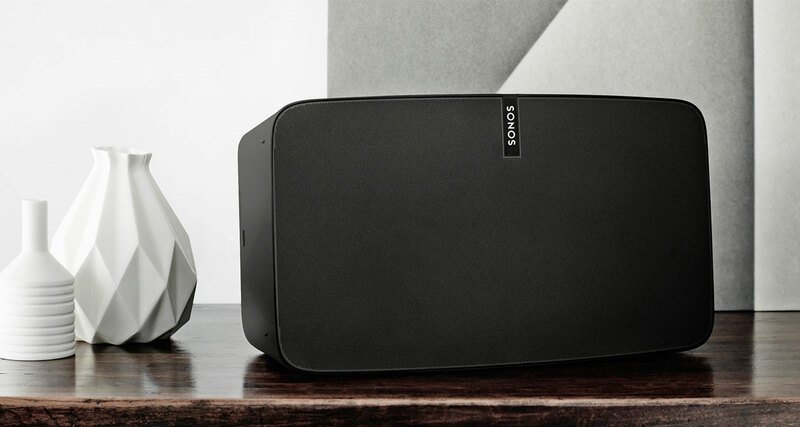 To put the Roberts Stream 94i in a wider sound context, it has significantly worse bass depth than the Sonos One. A dedicated subwoofer just can’t compete with the R&D put into that speaker’s long-throw driver. The Sonos also sounds better and bigger than either the Pure or Roberts radios at high volumes. In the DAB radio class, though, this is a star. As a replacement for the top-notch 93i, the Stream 94i ticks all the right boxes. The lack of Bluetooth connection has been rectified without compromising on its enjoyably proficient sound quality. The Stream 94i is the complete package, and that makes it the best radio (for its price) out there at the moment. As with any other gadget, the phrase "wi-fi speaker" is loaded with sometimes confusing categories. AppleInsider breaks them down and talks about how to select what characteristics you need to have, and which speaker you may want. In the background of audio, handful of product groups have expanded as speedily or substantially as wi-fi speakers. In the earlier couple of a long time, the evolution of wireless audio technologies has served the genre blossom from novelty to near-ubiquitous. From growth boxes and speaker docks, we’ve transitioned to a legion of wireless speakers that let you to stream the complete history of recorded audio from your armchair. Wi-fi speakers are infamous for prioritising ease in excess of audio high quality, but the tide has lengthy given that turned. Retaining the simplicity of use, basic connectivity and funky styles that make them so common, wireless speakers have now advanced to supply superb sound top quality – the ideal are virtually very good ample to be known as hi-fi. Today’s wi-fi speakers are intelligent merchandise with personalized voice assistants and most current streaming technologies inside of - they even search like luxury products, too. Using notice of new layout developments and how folks pay attention to audio, they now include functions like water-proof designs, multi-space capability, prolonged battery life, voice manage and the likes of Spotify Connect. And they can sound excellent. We will cover everything from AirPlay 2, Wi-Fi vs Bluetooth, multi-place solutions, sensible speakers, and more. So, let's get going.